The Drapery Lady Studio is a complete Home Decorator Studio. We specialize in custom and semi custom window treatments, slipcovers, upholstery, decorator pillows, interior design services, custom painted furniture and so much more. Our goal is to make everyone's home feel special no matter what your budget is. Elisa Irvolino, the daughter of an expert dressmaker jumped into the field of Interior Design after the birth of her son in 2000 after realizing there is a tremendous gap in the field of home decorating. 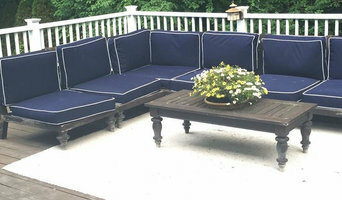 There many ready made, inexpensive products available at national retailers as well as an abundance of high-end decorator studios on Long Island. She searched all over for nursery decor that was unique, well made and affordable. After coming up empty, she decided to take classes and learn how to make these products herself. Years later, she has partnered with Suite Pieces Vintage furnishings and DIY Boutique to complete your home decorating needs. We offer exceptional interior design services & home staging. At our custom home furnishings boutique, we carry over 500 different manufacturers in every style. Begin your journey to extraordinary! Addie brings you personal one-on-one service to address your needs, big or small, with clients in Westchester, NYC, CT and farther afield. See more at AddieHavemeyerDesigns.com. Save time and money by following a carefully considered plan with a focus on being wise about the investment in your home. Using the latest in online photo-sharing and computer-aided design tools, sourcing product is faster than ever, making collaborating with you immediate and rewarding! GDG Designworks specializes in residential interiors. The goal of the firm is to achieve a modern aesthetic that is both warm and inviting through the combination of vintage and contemporary elements from different cultures. 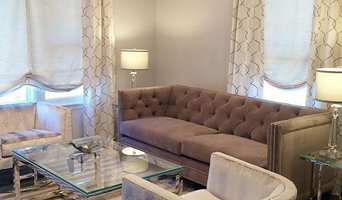 Projects include numerous New York City apartments and brownstones, as well as houses in Westchester, Long Island and Connecticut. GDG Designworks was founded in 2000 by Gregg Gelman. The work of a professional can make all the difference. Whether your home has 10 bedrooms, or your apartment is 800 square feet, it can be tricky to create a cohesive look that is representative of your style. That's where a local Bay Shore interior designer comes in. A home decorator will help distill your tastes and ideas into a design that suits the needs of your space. Whether you need help creating a functional space plan, rearranging existing pieces, designing the inside of a new home, or simply sourcing amazing furniture and decor, seeking the help of professional interior designers and decorators in Bay Shore, NY is a must. A good home design professional will hone your style down to its very essence and be able to choose a functional layout that feels natural to you. Interior design companies can be involved as much or as little as the client desires. Many clients who hire an interior decorator in Bay Shore, NY — particularly those who are remodeling — have a good sense of how the room should look and what products they should use. Often clients will insist that interior decorators use the products already present in the house. Other times a designer will need to start from scratch — especially if this is a newly purchased or just-built home. An interior design company will need to figure out exactly what the client needs, which includes organizing rooms, picking flooring and wall colors, and finding furniture to complement it all. Sometimes that means he or she will have to recruit help from other Bay Shore, NY home professionals to help create the perfect look for your renovation. Here are some related professionals and vendors to complement the work of interior designers & decorators: Architects & Building Designers, General Contractors, Home Builders, Design-Build Firms, Photographers. Do your research before meeting with an interior designer or home decorator in Bay Shore, NY. Ask yourself what you want your space to become and what it will be used for. Figure out the extent of what you need help with, what your must-haves are and what your budget is. Interior design services can add up fast, so be up front with a potential design firm or individual from the beginning. Also, pick an interior decorator that fits your style. Browse through the portfolios of different Bay Shore interior design firms and decide if you would live in those houses. Just because you like something doesn’t mean you could live in it. There's a big difference! Find an interior designer or home decorator in Bay Shore, NY on Houzz. Narrow your search in the Professionals section to find Bay Shore interior designers near you. 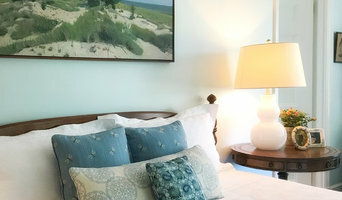 You can also look through Bay Shore, NY photos to find a room you like, then contact the design firm who designed it.